Triple Flat? Really? In Music, can you have a Triple Flat? How about a Triple Sharp? Quadruple Flat or Quintuple Sharp? I learned something new... it all started with the triple flat. I am going to be honest about this - I didn't think that you could have a Triple Flat. 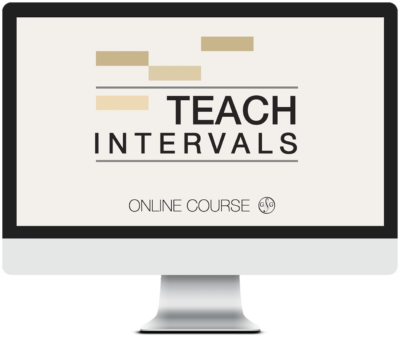 I just finished watching your Three Part Webinar Series - Intervals. I wanted to let you know that I found an error. You said that there is no such thing as a triple flat. I went to the internet and found that they do exist. The example I found was Piano Sonata No.1 (1914) - Nikolai Roslavets. Well, knock me down with a triple flat! I did not know that! And, at first, I thought that he was "wrong". After all, since the Theory Syllabus for the Royal Conservatory of Music only requires that students know naturals, flats, double flats, sharps and double sharps, (not a triple flat or a triple sharp), but doesn't that mean that those are the only accidentals out there? How Many Enharmonic Ways Could I Write C? Here is a song I wrote entitled "See the C" (using more than a triple flat). What is a Triple Flat? A Triple Flat would be a chromatic whole plus half step (or a chromatic tone plus semitone) below a white (natural) key. By adding additional flats, we continue to lower the pitch of the note by chromatic semitones (half steps). What is a Triple Sharp? A Triple Sharp would be a chromatic whole plus half step (or a chromatic tone plus semitone) above a white (natural) key. By adding additional sharps, we continue to raise the pitch of the note by chromatic semitones (half steps). When Would We See a Triple Flat or Triple Sharp? I realized that there are actually some intervals that cannot be written without the use of a Triple Flat or a Triple Sharp! Imagine that! Without looking at the answer below, write the following intervals above the given note. Paul went on to state: "Aside from the Triple flat business I want you to know that I thoroughly enjoyed your webinars. But I wanted to share this information with you as you said yourself that you should always continue to learn new things." Paul, you are so right! One of the many things that Glory has taught me is to always continue to learn new things. Thanks so very much for taking the time to teach me! P.S. - Join the conversation! 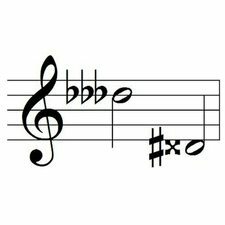 Have you ever seen a Triple Flat or a Triple Sharp in music? Have you or your students ever composed a piece that uses Triple Flats or Triple Sharps? Please share your experience with us. Very interesting . . . Thank goodness we don’t see this very often since it would be very discouraging to have to read these on a regular basis! Thanks Shelagh! For D# Augmented 7 to C triple sharp, why do we not just use the octave D# note instead of C triple sharp then? Because then it would not be an Augmented 7th – it would be a Perfect 8th. I know – SO confusing….but thank goodness there are not too many Composers out there who like to think way out of the “interval box”! I think its important to remember that written music is meant to be read by musicians. Using double flats and double sharps is enough of a trial without adding extras of each. I’m pretty sure that your standard working musician would charge time and a half for having to read triple sharps or flats! While just about anything is possible theoretically speaking (including the key of F flat major) that doesn’t necessarily mean we should do it! Anita, I totally agree – just because we can doesn’t necessarily mean we should. But I am the first to admit when I am wrong, and I did say that you cannot have a Triple Flat…and I was wrong. (But I am right in saying I don’t think many musicians would like to play music that is full of them! ).